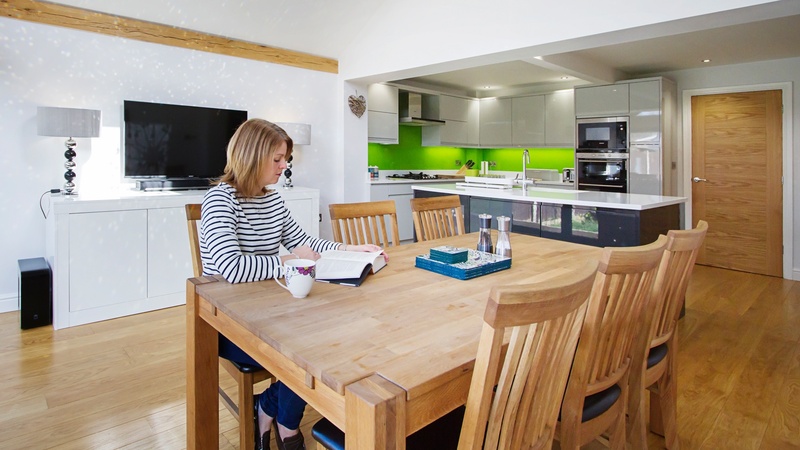 Our clients have always loved the location of their house for easy access to work, schools, leisure facilities and social connections, but they were becoming increasingly frustrated with the form and size constraints of their home. As the family has grown and developed their lifestyles and living patterns had changed. Their three bedroomed link detached house was starting to feel small and it was proving to be increasingly unsuitable for their lifestyle. The separate downstairs living areas were dividing the family, they were struggling to fit in a room big enough to accommodate them all to sit down and eat together. As a result of the small separate living, kitchen and dining spaces they were spending little time in each other’s company. They desired to create a long term solution for their young family to grow into and enjoy. 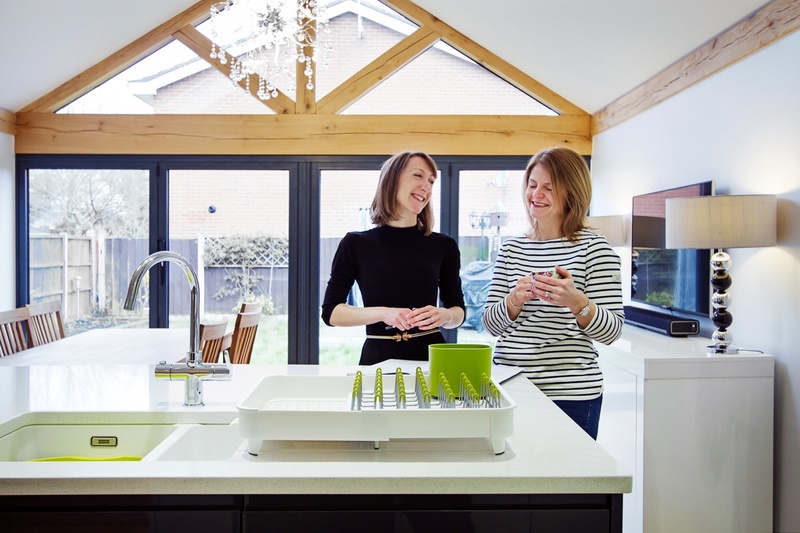 Rather than moving house or self-building from scratch, they decided to stay in the location that they loved and to add a modern extension to their existing home. 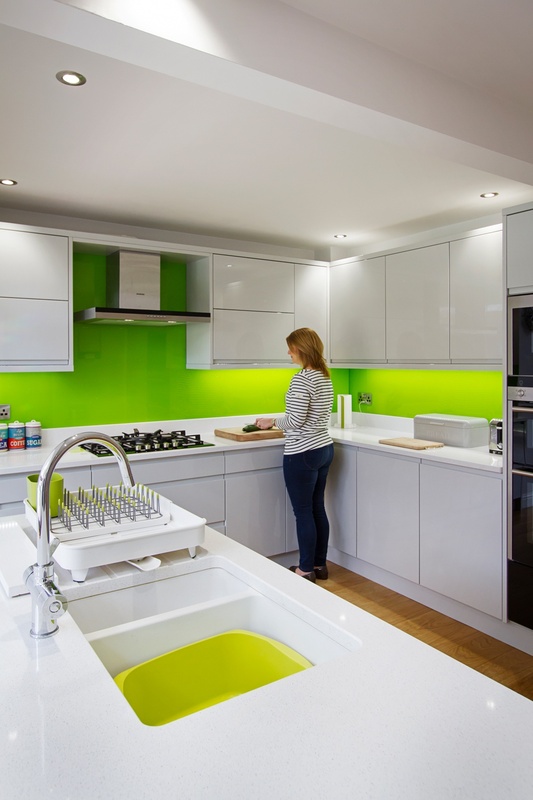 They aspired to create a modern, functional space for everyday family life, whilst improving the curb appeal of their home to add value. 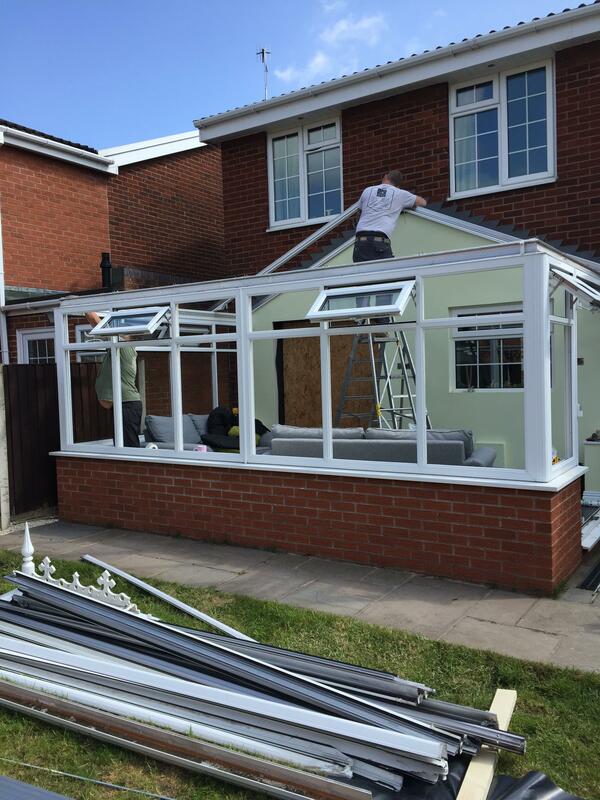 We were appointed by our clients to create a design solution to replace the old, cold, and leaking conservatory to the rear of the property, with a modern, light filled, open plan home extension. The intention for the new large open living space was to break down the room barriers and respond to the needs of the family to support their home life into the foreseeable future. Delivering on time and within budget were essential. With a young family and pets at home it was essential for minimal disruption to their daily lifestyle. 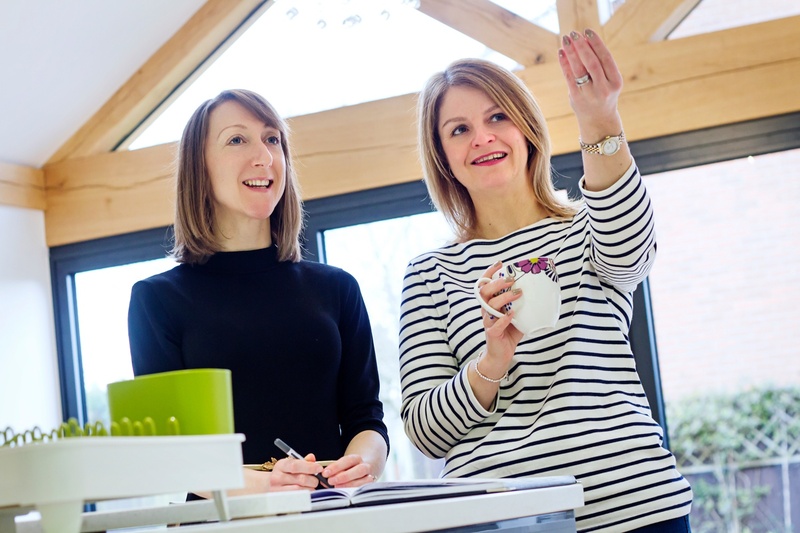 The family needed help from our team at Croft Architecture to swiftly and successfully acquire Planning and Building Control Approval for their project to progress rapidly, ensuring project completion on time and to their determined budget. A families, needs, wants, and desires are constantly changing as they mature, yet our family nests stay static, and can obstruct the ease and enjoyment of everyday life if they don’t adapt in line with modern living requirements. 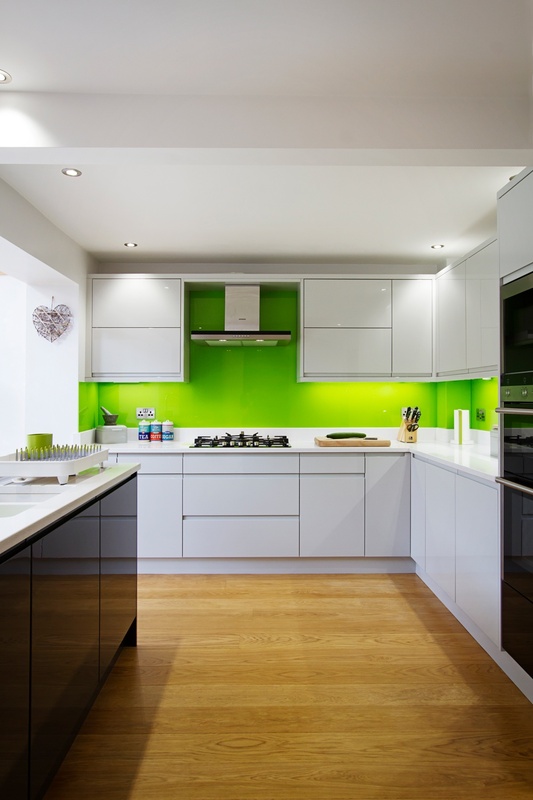 The client’s home is located in a suburb of the city of Stoke-on-Trent in North Staffordshire. Their original house is a three bedroomed link detached family home that’s located on a mature housing estate close to the Trent and Mersey Canal. The original home is immediately connected to the properties on either side via the garage link, with a neighbouring property flanking wall also located at the base of their rear garden too. 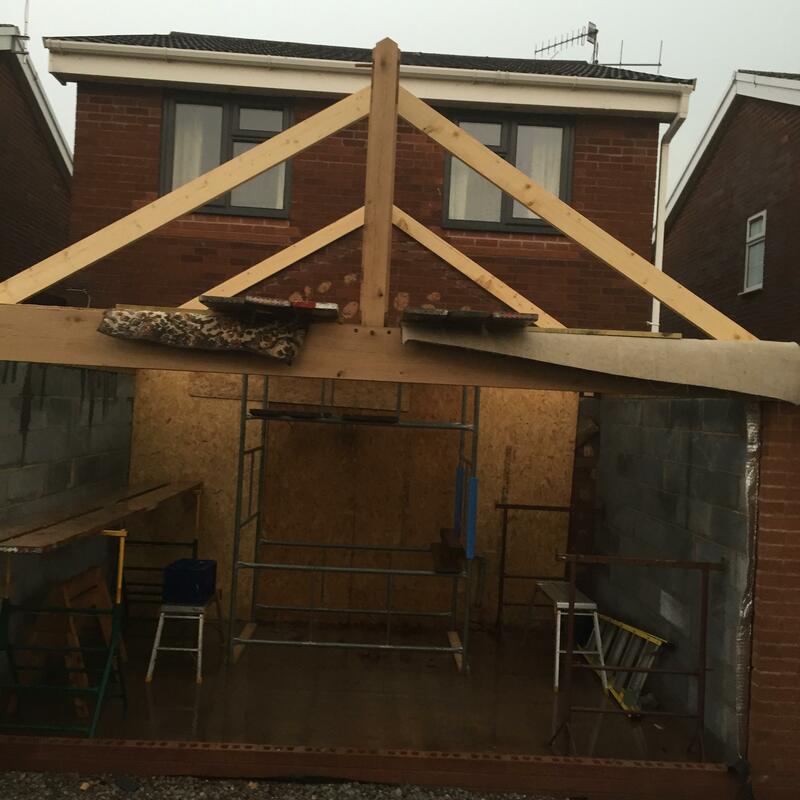 Before progressing with the project we advised the family to inform all of their adjoining neighbours of their intention to extend. It's often much better to take the neighbourly approach and to inform neighbours of works in advace, so that they can express any concerns,which are often easily resolved. Other matters to discuss with neighbours may be the need to have a Party Wall agreement. 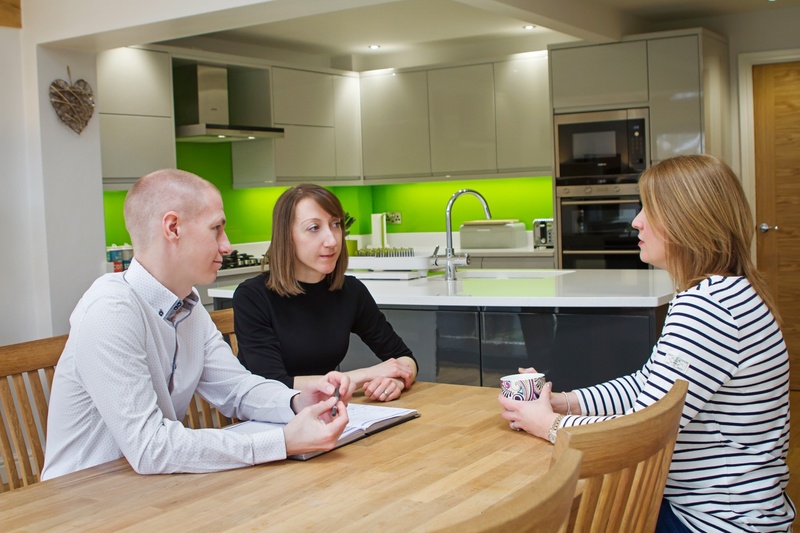 For more details about Party Wall Regulations click here to take a look at our blog. To create the space that our clients aspired to achieve the neighbouring properties needed to be taken into consideration. 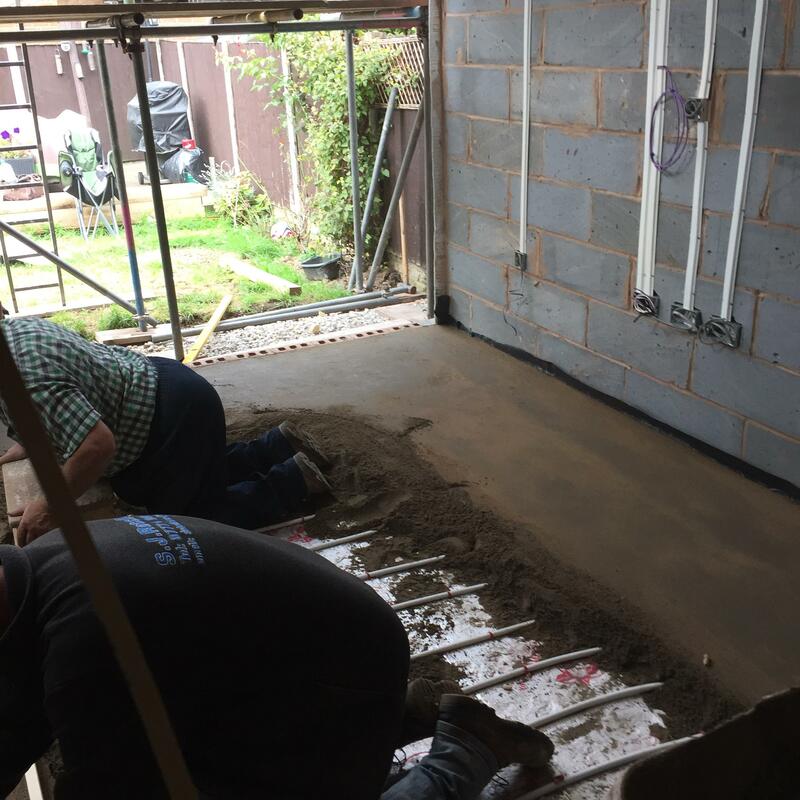 The site available was compact so a balance needed to e struck to provide a generous amount of floor space for the new extension. 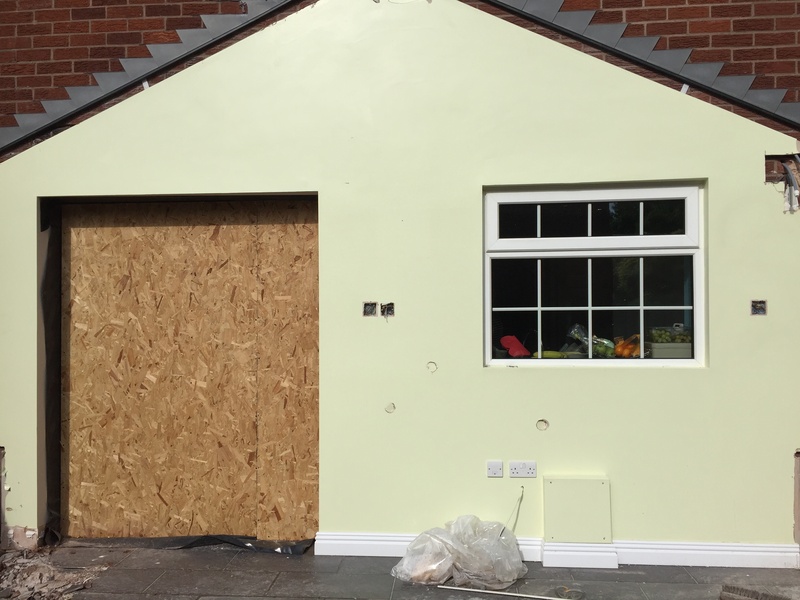 Our clients needed our help to create a design solution that offered them a generous amount of extra space whilst bearing no visual impact on the neighbouring properties or street scene. 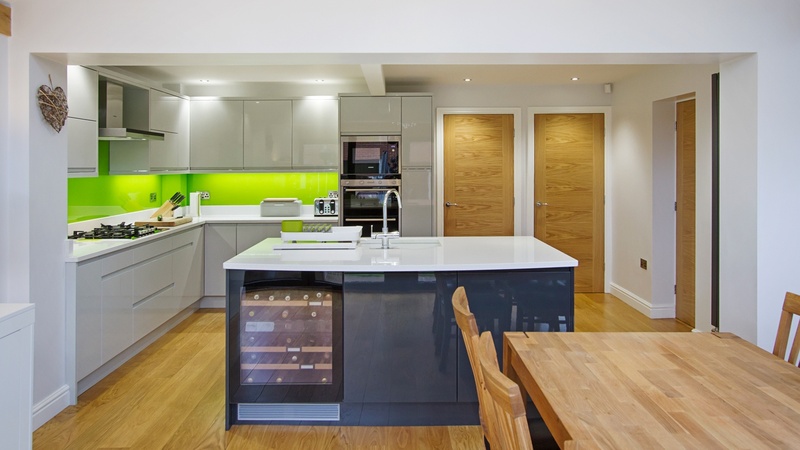 The development of the design for the home extension referenced the style and character of the homes in the immediate neighbourhood, with particular features being given a contemporary twist. Our clients had done their own research and planning with regards to the required look, finish and materials that wanted to use. They liked oak beamed structures and they wanted to create a light space that seamlessly opened into the garden, using a glazed oak beamed structure. 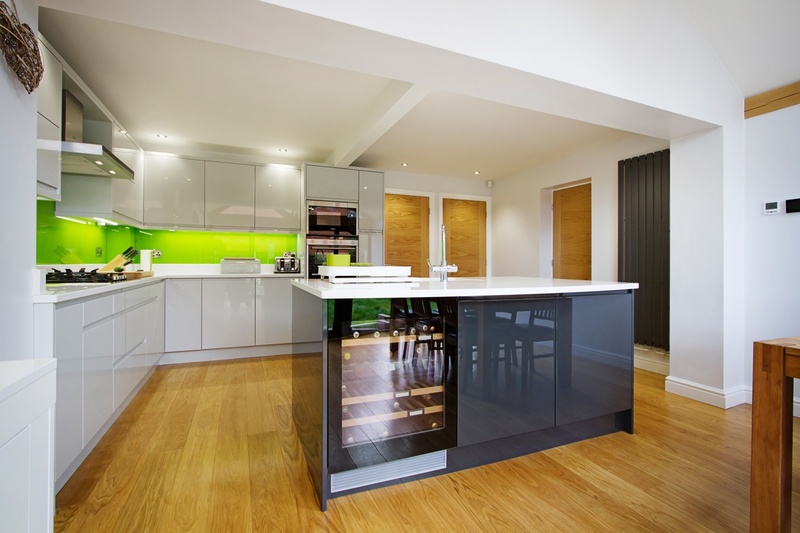 However, oak comes a price and our clients had a determined budget for the project. Numerous companies were contacted for prices to reflect their budget and eventually perseverance paid off. 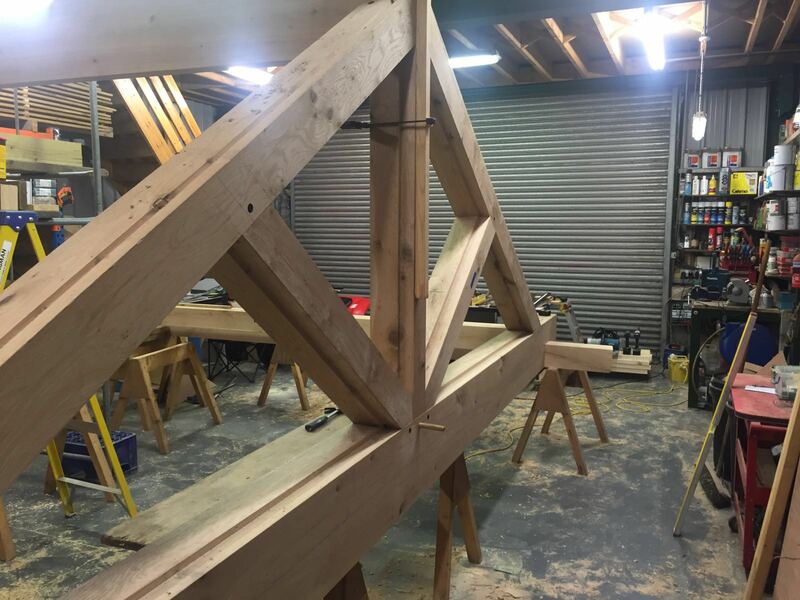 The oak structure was sourced locally in Staffordshire. The design of the newly extended family space complements the style & character of the main house, emulating design features and style of brick work. Careful design consideration has been given to ensure that the newly extended family living space corresponds well with not only, the adjoining properties, but also the neighbouring homes within the local area. It was essential to ensure that the style, scale and proportions of the new generous family living space to the rear of the property beard no visual impact on the streetscape, yet the design responded to the living patterns of the family. 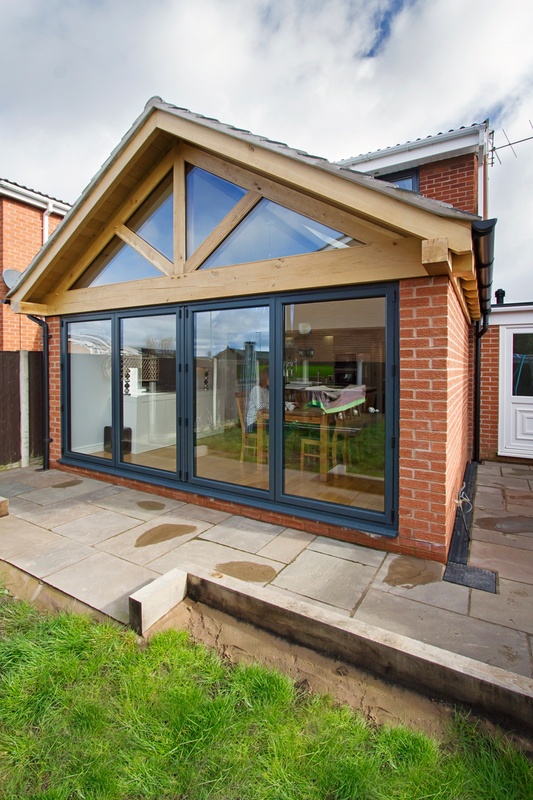 The extension to the rear of the home replaces a conservatory spanning the full width of the property, which was always too cold to use in the winter and too hot in the summer. We saw the opportunity for our clients to take advantage of the westerly afternoon/evening sun and to fill the space with natural light. 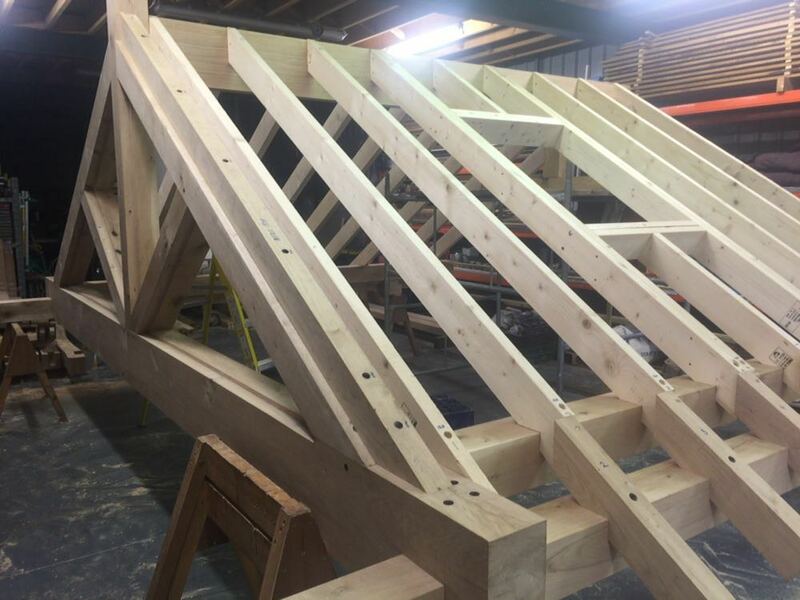 We combined the traditional oak framing with modern glazing methods incorporated into the oak structure. The design of the extension was developed to receive the sunlight throughout the day using roof lights, with the evening sun being captured by the floor to ceiling grey framed bi-folding doors. 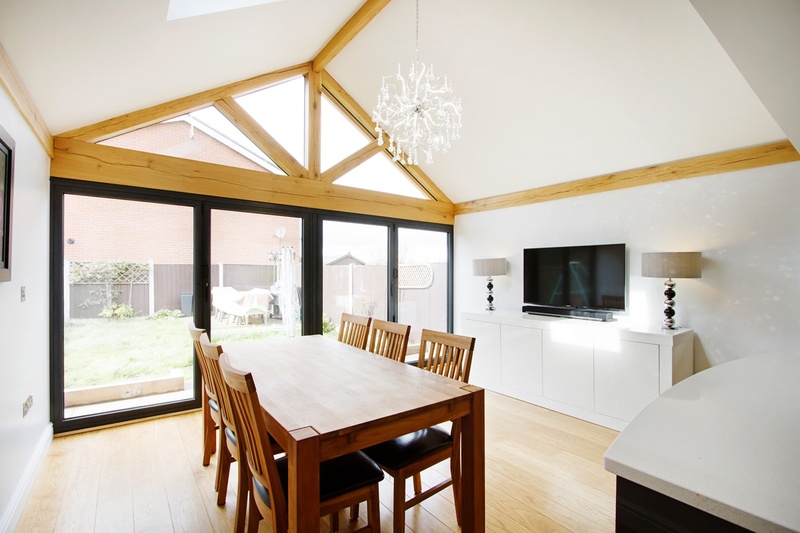 The pitched roof extension creates an internal vaulted ceiling giving the impression of a light, airy space, especially with the addition of the large roof lights. 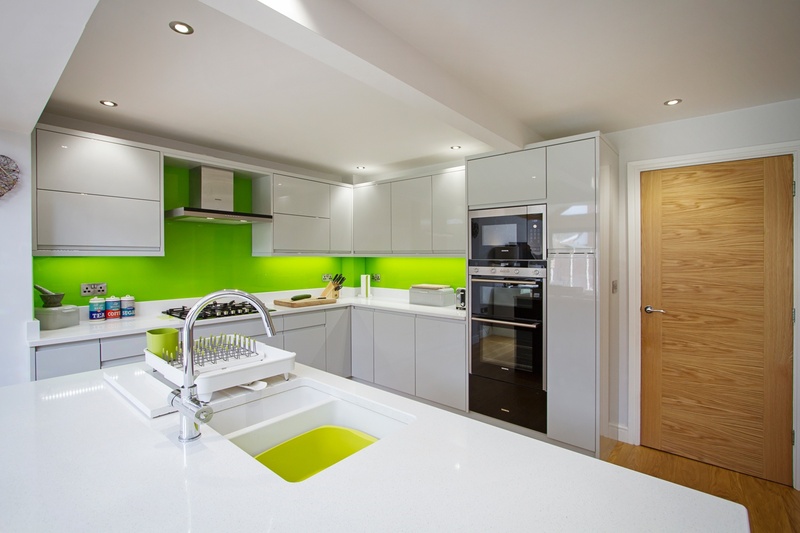 The updated light grey, high gloss kitchen and light grey marble countertops help reflect the light from the skylights in the ceiling, with a zesty lime grey block splashback creating a perfect accent colour to reflect the family’s fun personalities and to bring life to their new living space. 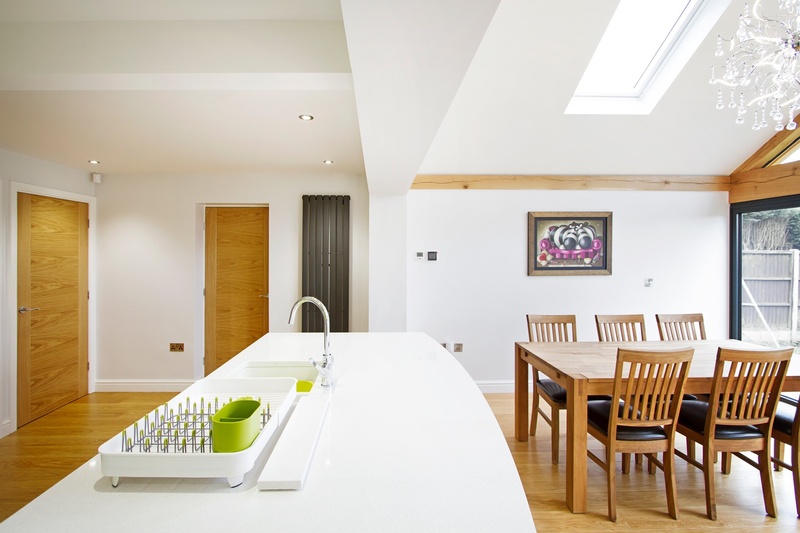 The extension is an open room with the kitchen and dining room all sharing the same space. White walls have been combined with wooden flooring and oak structure to create a sense of warmth. The oak beams really come into their own in this large open plan space, especially with the vaulted ceiling and large folding doors open seamlessly into the back garden. 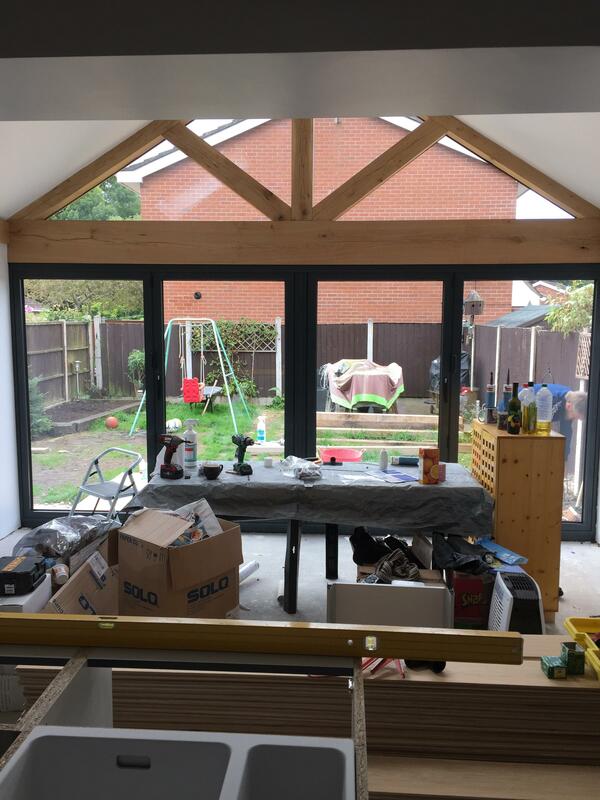 Adding an oak framed extension with the floor to ceiling glazing has enabled the family to get the ‘wow factor’ within their budget. Externally, our team at Croft Architecture have created a clean, traditional addition to the existing period property, whilst inside the dwelling now has a new, sleek, light and spacious family ‘hub’ that seamlessly connects with the existing home and the garden. 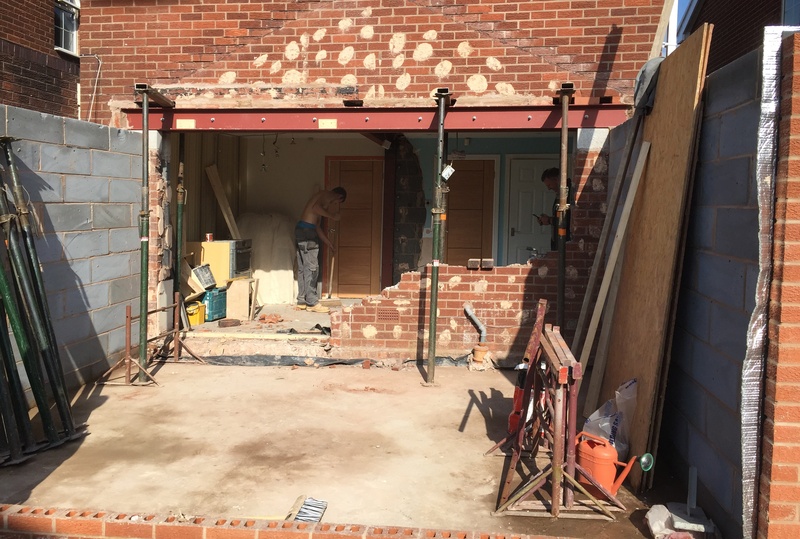 Our team has also worked closely with the client to consider the project as whole and not just the home extension and new additional garden space. The design of the external space has been carefully remodelled to ensure that the ground not only, works for the family, but also successfully enhance the visual appearance. 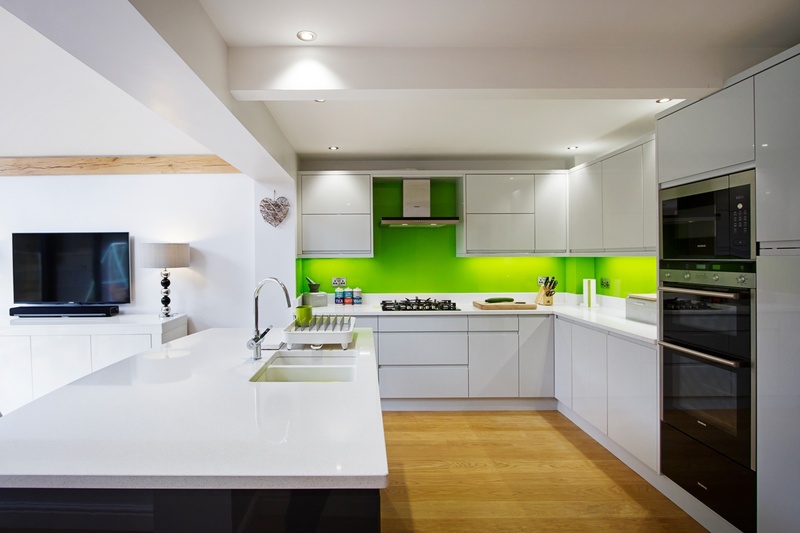 A strong working relationship between our team, the client and the planners enabled us to gain the necessary permissions promptly, rapidly propelling the project forwards within a short time frame. 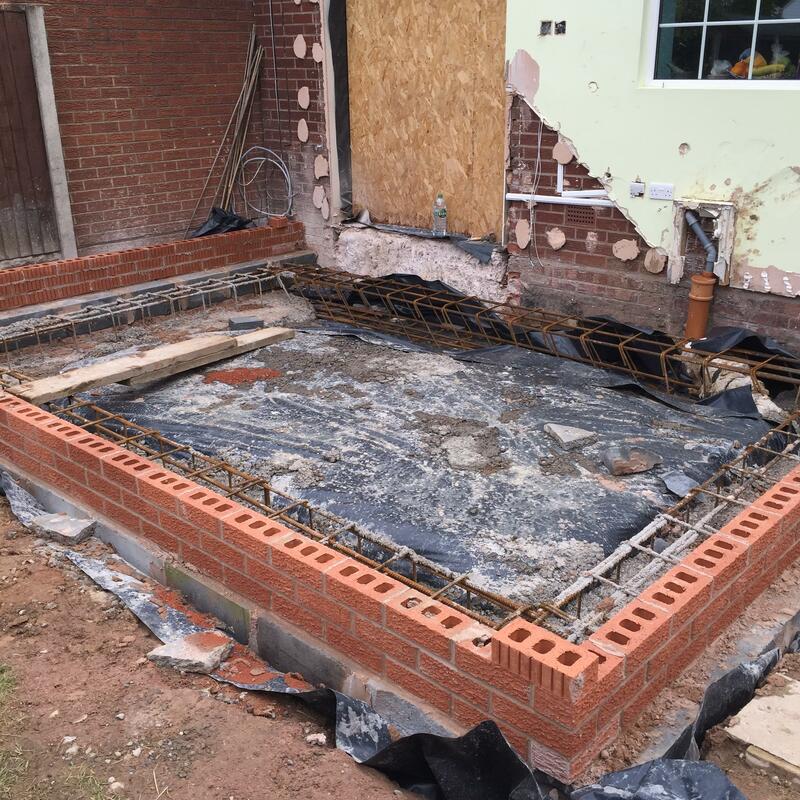 We enjoyed working with the project team and we’re extremely pleased to successfully deliver the completed project in accordance with our client’s timescales and budget.